Milan Vujanović is an assistant professor and Teamleader of the Combustion CFD Research Group of the Power Engineering and Energy Management Chair at Department of Energy, Power Engineering and Environment, Faculty of Mechanical Engineering and Naval Architecture, University of Zagreb. Dr. Vujanović holds PhD in “numerical modelling of multiphase flow in combustion of fuels”. His research is in the areas of modelling and simulation of turbulent combustion, pollution formation, multiphase flows and sprays, and also in the areas of sustainable energy, environmental protection and climate change. He holds lecturers within courses “Combustion and Radiation Modelling”, and “Numerical Methods in Continuum Mechanics”. He has over 40 publications in Scientific Journals, Books and International Conferences Proceedings to his credit. He is a reviewer for many international journals such as Applied Energy, Energy, Energy & Fuels, International Journal of Heat and Mass Transfer, Energy Conversion and Management, Journal of Cleaner Production, Thermal Science, Fuels and Lubricants, Journal of Sustainable Development of Energy, Water and Environment Systems etc. 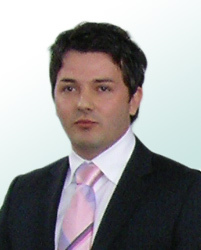 Dr. Vujanović is a consultant to many industries and to several public authorities. He is a member of the Combustion Institute, member of the European Research Community on Flow, Turbulence and Combustion, and member of the Centre for Sustainable Development of Energy, Water and Environment Systems. 2004 – 2010 PhD study at Faculty of Mechanical Engineering and Naval Architecture, University of Zagreb. 1996 – 2003 Undergraduate study of Mechanical Engineering at Faculty of Mechanical Engineering and Naval Architecture, University of Zagreb, majoring in Energy Management, Power Engineering and Environment, 5 years program, dipl.ing. Mikulčić, Hrvoje; Cabezas, Heriberto; Vujanović, Milan; Duić, Neven. Environmental Assessment of Different Cement Manufacturing Processes Based on Emergy and Ecological Footprint Analysis, // Journal of Cleaner Production, (accepted for publishing), 2016. Baleta, Jakov; Mikulčić, Hrvoje; Petranović, Zvonimir; Vujanović, Milan; Duić, Neven. Numerical simulation of urea based selective non-catalytic reduction deNOx process for industrial applications, // Energy Conversion and Management, (accepted for publishing), 2016. Shuanghui Deng; Xuebin Wang; Houzhang Tan; Hrvoje Mikulčić; Zhifeng Li; Ruijie Cao; Zhao Wang; Milan Vujanović. Experimental and modeling study of the long cylindrical oily sludge drying process, // Applied thermal engineering, (original research article), 2015. Vujanović, Milan; Petranović, Zvonimir; Edelbauer, Wilfried; Baleta, Jakov; Duić, Neven. Numerical modelling of diesel spray using the Eulerian multiphase approach, // Energy Conversion and Management, (original research article), 2015. Petranović, Zvonimir; Vujanović, Milan; Duić, Neven, Towards a More Sustainable Transport Sector by Numerically Simulating Fuel Spray and Pollutant Formation in Diesel Engines, // Journal of Cleaner Production (original research article), 2015. Mikulčić, Hrvoje; Vujanović, Milan; Ashhab, Moh’d Sami; Duić, Neven, Large Eddy Simulation of a Two-Phase Reacting Swirl Flow inside a Cement Cyclone, // Energy (Oxford), (original research article in press), 2015. Baleta, Jakov; Vujanović, Milan; Pachler, Klaus; Duić, Neven, Numerical modeling of urea water based selective catalytic reduction for mitigation of NOx from transport sector, // Journal of cleaner production (original research article in press), 2015. Mikulčić, Hrvoje; von Berg, Eberhard; Vujanović, Milan; Duić, Neven, Numerical Study of Co-firing Pulverized Coal and Biomass inside a Cement Calciner, // Waste management & research, 32, 7; 661-669 (original research article), 2014. Mikulčić, Hrvoje; Vujanović, Milan; Duić, Neven, Reducing the CO2 emissions in Croatian cement industry, // Applied energy, 101, S.I. ; 41-48 (original research article), 2013. Mikulčić, Hrvoje; Berg, Eberhard von; Vujanović, Milan; Priesching, Peter; Perković, Luka;Tatschl, Reinhard; Duić, Neven, Numerical Modelling of Calcination Reaction Mechanism for Cement Production, // Chemical engineering science. 69, 1; 607-615 (original research article), 2012. Vujanović Milan; Duić Neven; Tatschl Reinhard, Validation of reduced mechanisms for nitrogen chemistry in numerical simulation of a turbulent non-premixed flame, // Reaction Kinetics and Catalysis Letters, 96, pp. 125-138, (original research article), 2009.